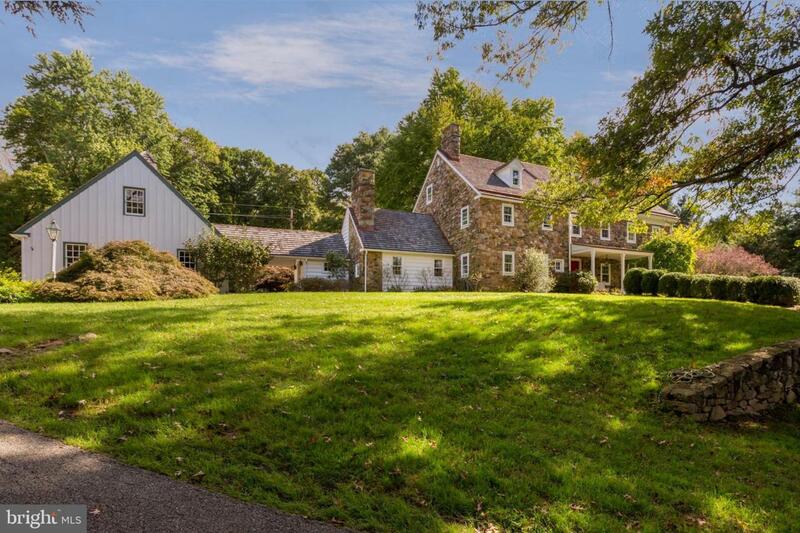 Classic 18th Century Chester County historic stone farm house replica built in 1970 by Charles Pusey and recently updated with modern amenities. 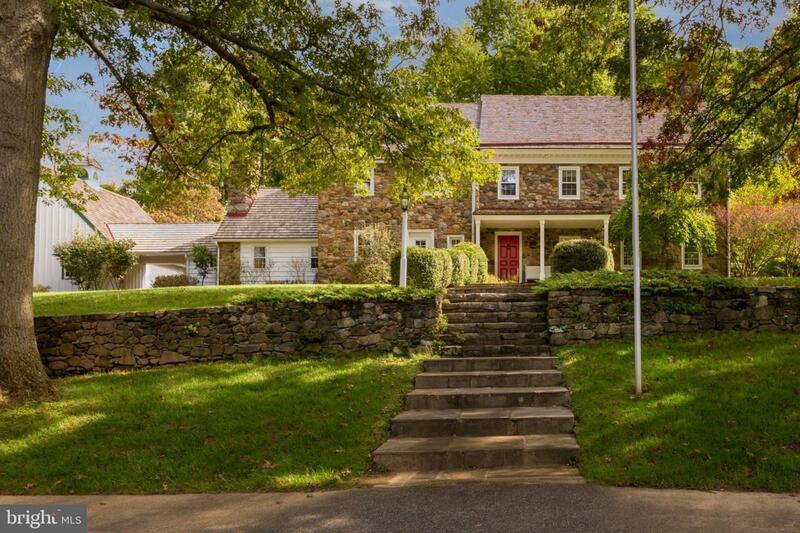 Perched up on a hill in Thornbury township on 2.6 acres centrally located to Route 202, 926, and close to award winning West Chester District Schools. 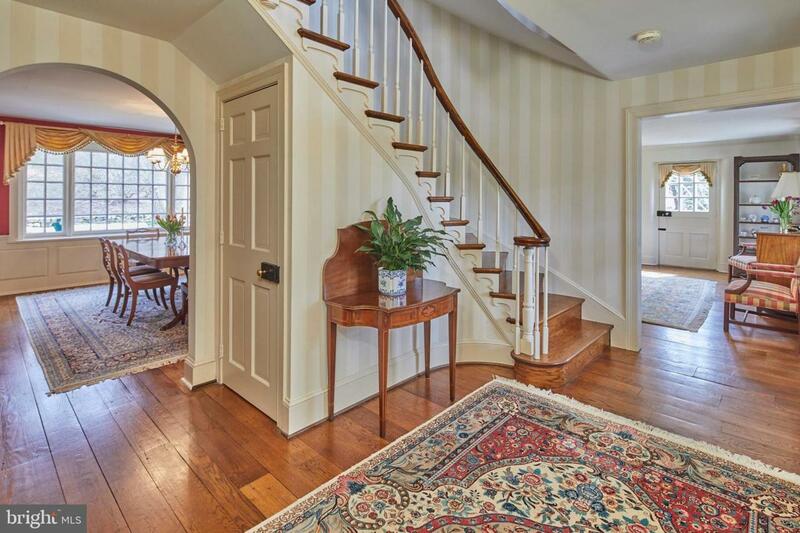 As you drive up the long sweeping driveway it is clear this 4700 sqft (including the 3rd floor), 6 bedroom, 3.5 bath Stone home with a new cedar roof (2015) has been meticulously maintained with additions and updates made to preserve character and charm; 12 inch thick stone walls, Deep window sills, and curved walls just to name a few. 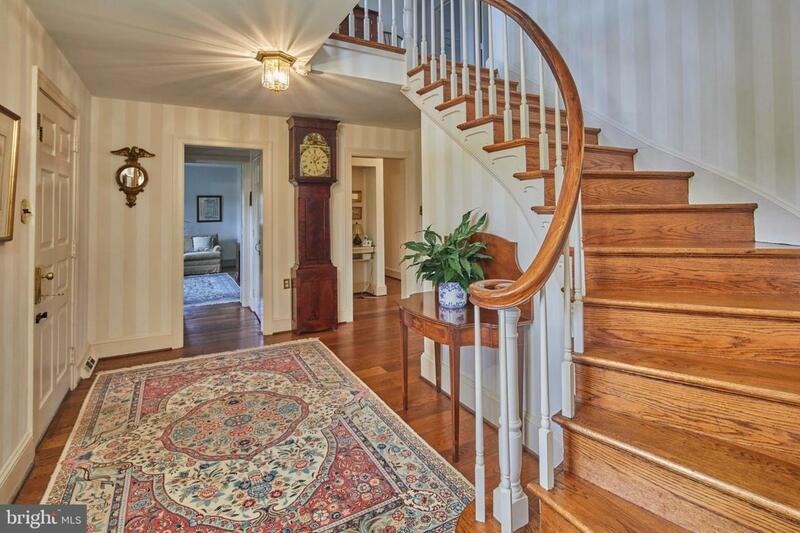 A graceful foyer with pegged hardwood floors and elegant curved staircase welcomes you as you enter the front door. The first floor includes a formal Living Room with a wood burning fireplace, a formal Dining Room with custom moldings, and a Kitchen has been completely updated to include double ovens, induction cooktop and subzero refrigerator opening to the informal dining addition. The original cozy Family room features an authentic walk in Fireplace, and a library/den with built-in shelves and fireplace and custom built in shelving. Upstairs offers hardwood floors throughout and hosts a Master bedroom suite with ample closet space, a wood burning fireplace, and an updated tile lined Master Bathroom with double vanity. 3 other spacious Bedrooms and an updated bathroom with double vanity and bathtub complete the upstairs. Upstairs also features a walk in cedar closet great for storage! The third floor features 2 additional large bedrooms and full bathroom. A convenient 3 car Garage is attached with a breezeway leading to the first floor laundry room. When you walk outside you truly feel like you are in an oasis with slate patio outlined by a beautiful stone wall great for entertaining. Nestled in its own tree lined area of the yard is a pool with brick coping and a surrounding patio set away from the house creating ultimate privacy. The curb appeal is confirmed by the quality of the interior finishes- you will not be disappointed!